On 9 June 2017, Dr Trevor Lane (Education Director and Senior Publishing Consultant of Edanz Group) led a manuscript writing workshop in Hong Kong, China, on behalf of the Hong Kong Academy of Medicine (HKAM). 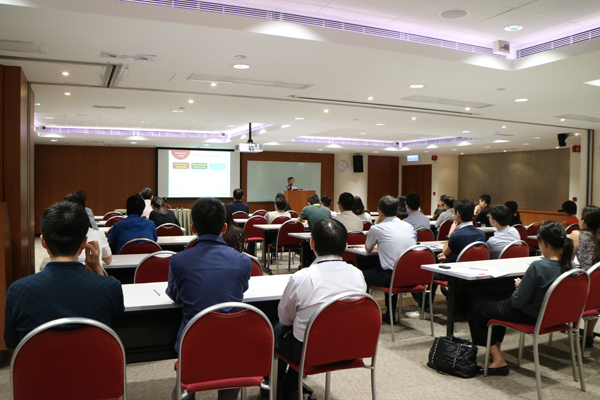 The 48 audience members, who consisted mainly of medical and surgical specialists who are HKAM Fellows, learned about writing, revising, and editing for publication in international peer-reviewed medical journals. The interactive workshop, which was targeted at intermediate-level authors, included activities and checklists for improving the logic and language of manuscript drafts. All attendees found the event useful or very useful and said they would recommend the seminar to a colleague. Noting that Dr Lane had worked for indexed medical journals in the past, the organizers at HKAM thanked him for sharing deep insights into the publishing process and for explaining what editors and reviewers look for in a quality clinical manuscript. The HKAM was keen on organizing more writing seminars in the future and on using the free Edanz resources of Author Academy, Journal Selector, and Author Path. Edanz Group provides tools, resources, and services for researchers and research institutions to publish in international indexed journals and communicate their research to the world. In addition to publication support, editing, and news writing, Edanz offers a range of educational services from trained native-speaking instructors to help all levels of researchers throughout their careers. Please email global@edanzgroup.com for more information or to request an online or face-to-face lecture, interactive workshop, or individual/small-group consultation.